NEW YORK, NEW YORK–(Marketwire – Oct. 12, 2007) – Internationally renowned peace leader and spiritual teacher Sri Chinmoy passed away yesterday morning in his home in Queens, New York. The cause of death was a heart attack. Respected and loved worldwide, Sri Chinmoy’s philosophy for world peace was manifested through a wide array of activities, ranging from literature to art to sports to music. The universal nature of his philosophy embraced and encouraged people of all backgrounds, faiths and nationalities to work together for peace. Hailed as a modern day renaissance man, Sri Chinmoy wrote over 1600 books of prose and poetry, composed over 20,000 pieces of music, played over 800 Peace Concerts in venues like Lincoln Center and Carnegie Hall and was an avid runner, tennis player and champion weightlifter. 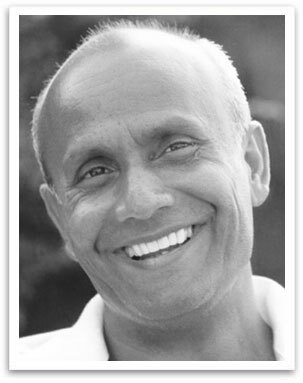 Sri Chinmoy was born on August 27, 1931 in a small village in east India. Orphaned at the age of 11, Sri Chinmoy traveled with his six brothers and sisters to a spiritual community in south India, where he spent the next 20 years in intense prayer and meditation. Heeding an inner call, he traveled to the United States in 1964 and made New York City his home. In the 43 years since his arrival in the West, Sri Chinmoy became a model of the potential of humankind. Opening centers throughout the world for peace and harmony he tirelessly traveled the globe to share his inspiration and goodwill. A champion of interfaith harmony, Sri Chinmoy was beloved by religious leaders of all denominations. From Mother Teresa to Pope Paul VI and Pope John Paul II to the Dalai Lama, Sri Chinmoy was celebrated as a true servant of God. Sri Chinmoy was an ardent supporter of the United Nations. Since 1970 he had served as the leader of the Peace Meditation at the United Nations, an association of delegates and staff he founded under the aegis of the third UN Secretary-General U Thant. “The outer message of the United Nations is peace. The inner message of the United Nations is love. The inmost message of the United Nations is oneness,” said Sri Chinmoy. Sri Chinmoy’s love of sports spanned a lifetime and resulted in a number of landmark programs for peace and self-transcendence. In 1987, Sri Chinmoy founded the World Harmony Run, the world’s largest relay for peace involving tens of thousands of participants in over 70 nations. Sri Chinmoy also founded the Sri Chinmoy Marathon team which is a leading promoter of ultra distance races, sponsoring events ranging from marathons to the world’s longest footrace, a 3100 mile run. In this light, Sri Chinmoy astounded sports heroes and luminaries through a weightlifting career which he began in 1986, at the age of 55. Weight being anything but insurmountable, Sri Chinmoy credited his inner peace for the ability to lift thousands, sometimes even tens of thousands of pounds. From cars to animals to small planes, Sri Chinmoy lifted almost every object imaginable in various styles of strongman lifts. A musician since his youth, Sri Chinmoy made dozens of recordings, composed over 20,000 songs, and offered more than 800 Peace Concerts – all free of charge. “Sri Chinmoy has a tremendous, a fantastic creative urge!” exclaimed Indian maestro Ravi Shankar. Sri Chinmoy practised a life of spiritual discipline and never married. Over 7,000 people continue to follow his philosophy through the over 100 Sri Chinmoy Centres worldwide. Please feel free to leave comments on the tribute form in the post immediately below this one. Good Day. It is a great opportunity for us to knowing about spiritual leader Srichinmoy. Would appreciate if you kindly confirm about his birth place Because we hard that he was born in a small Village namely Sakhpura, Patiya, Chittagong, Bangladesh (the than British rule period). Yes, Sri Chinmoy was born in Shakpura, Chittagong in 1931 (then part of India) now part of Bangladesh. today is the above mentioned day, the day when Chinmoy left the earth plane. Did he see a way to finally connect heaven with earth?